That is fantastic information thanks so much oakpot !! 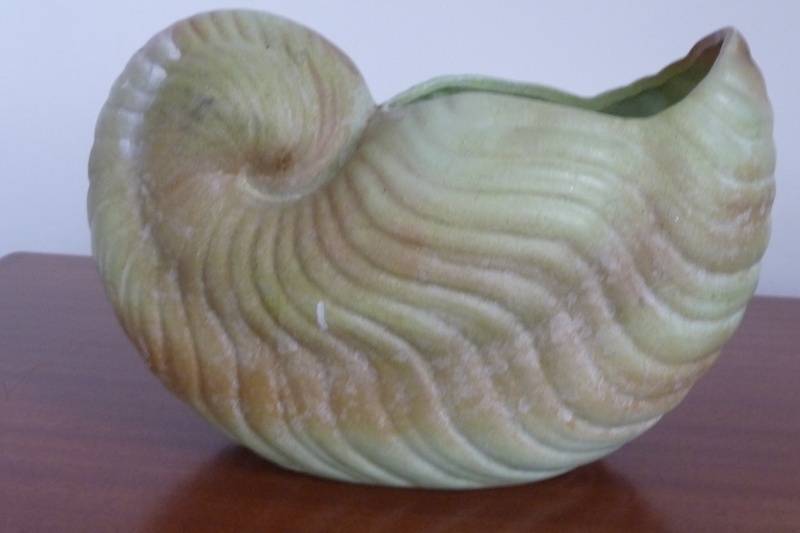 This auction on Trade Me has the same transfer and I am wondering if it is a Glen Afton blank too? 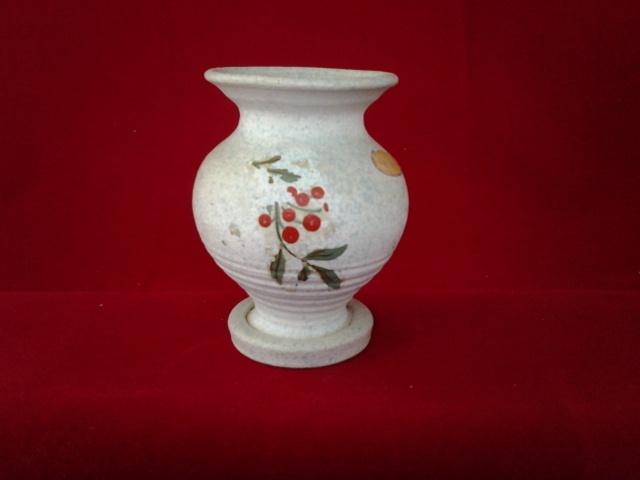 Also this one has a Salisbury Ware sticker and has a 34 on the base. Do you think this could also be Glen Afton? Thank you oakpot. I wondered who made that shape. Thank you for the information oakpot. Can you please show us pictures of the bases. 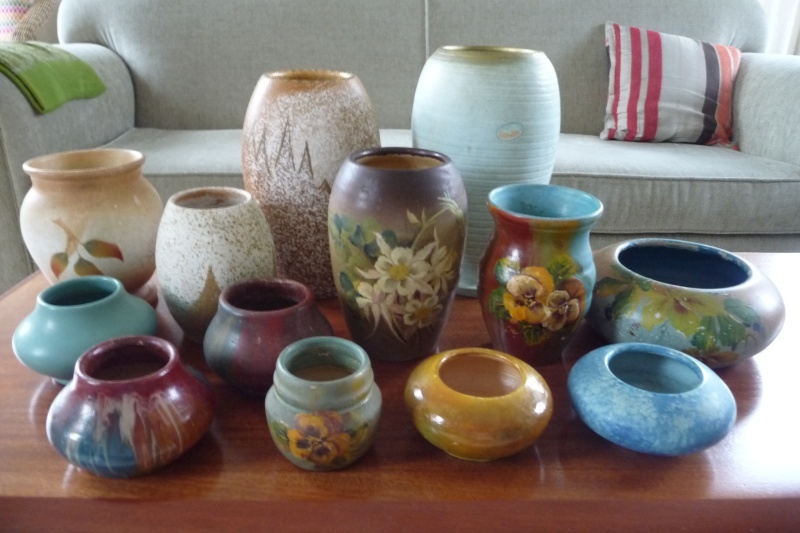 It might help to identify more of these vases. Ev, You'll have to remove my "Wally Silva" 35 from the Rancich/Silva gallery it looks like the Glen Afton that oakpot posted. There might be more that need changing. 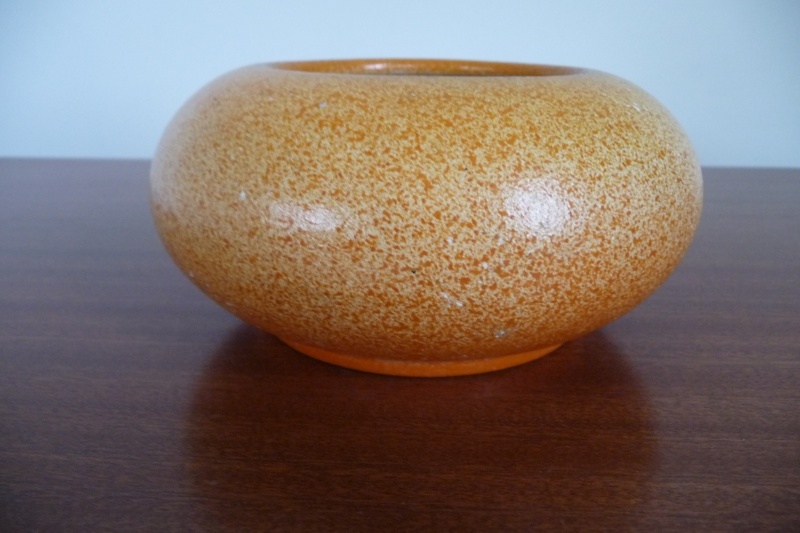 I have reviewed Gail Henry's Pottery in New Zealand and come to the conclusion that the blanks presented by Oakpot are Rancich/Silva. 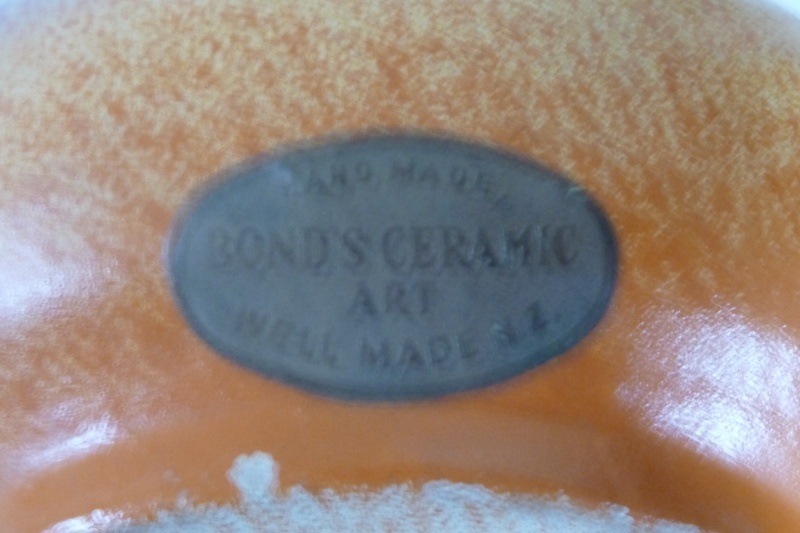 The fact that both potteries numbered their blanks in a similar fashion I think has caused the confusion.The most important thing to identify is if the blank is hand potted or slip cast. 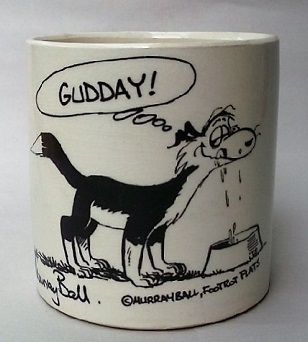 Gail Henry states that Glen Afton produced a range of slip cast smalls on page 125. Rancich/Silva supplied hand potted blanks to Salisbury from 1939 to 1942. This was continued by Wally Silva after Rancich's death. The blank number 12 in the Rancich Gallery is identified as Glen Afton by Gail Henry on page 181 photo. I can confirm this is slip cast. Probable Rancich/Silva blanks all hand potted. I'm hearing you loud and clear sid as this is new ground for most of us. Yes I agree with you and Gail Henry regarding the shape 12 and will use your clear photo of the shape to add to the Glen Afton / Partridge Gallery when I make it. 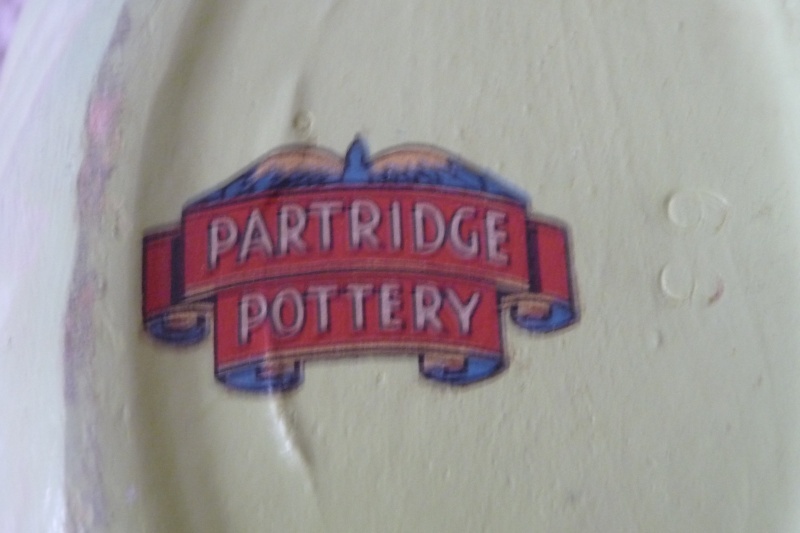 There have been a few listings for Partridge Pottery lately and I really should have gone for them just to learn about their wares. This is one and as it is listed by hon-john who is a member on here and lets us use any of his photos I will add it to the Gallery. ... can't find the other however hard I look! How terribly inconvenient that Glen Afton and Rancich/Silva used the same number stamps, but how brilliant of you to share that Glen Afton made slipware and Rancich/Silva made handpotted only. Sorry Ev, I can not help with the other blanks as I do not have any in my collection. I have collected most of the blanks only due to the Rancich connection. It really helps to look at the examples to compare. It is interesting to note that Gail Henry does not mention Glen Afton supplying Salisbury in the text. Ambrico did however start supplying from 1942. A range of Slip cast smalls were not manufactured by Glen Afton until 1944. They therefore can not pre-date the Ambrico Blanks. The shape 34 from Glen Afton is listed as a comport. 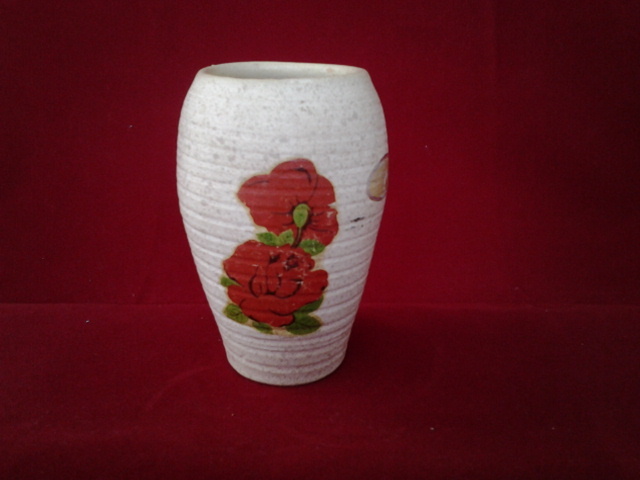 It is illustrated next to the shape 12 vase by Gail Henry. The trademe listing above is therefore unlikely to be Glen Afton.